Angie Coleman grew up near Chicago Illinois, and graduated from California College of Arts and Crafts in Oakland. She is a long-time resident of Taos New Mexico. 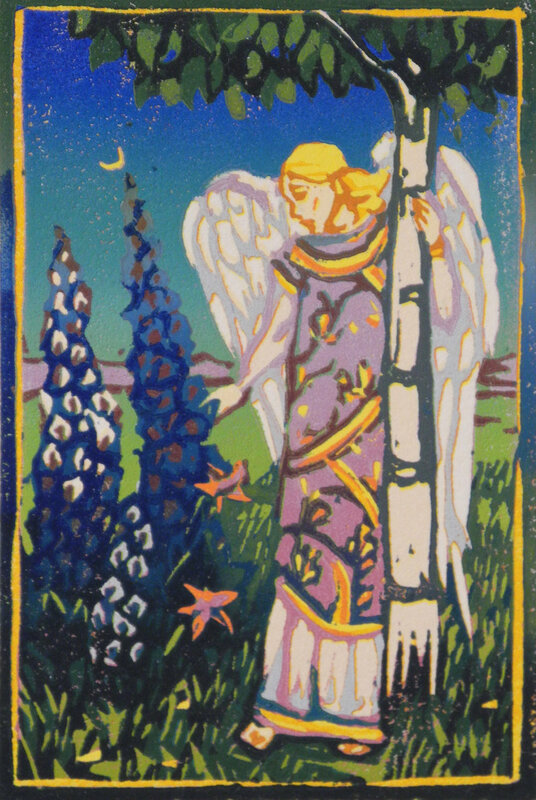 Angie is known primarily for her color woodblock prints, reduction prints where each successive layer of color involves carving away some of the block that carried the previous layer. Each print goes through the press a dozen times or more, and may have 45 different colors applied or blended, with a total of 100 hours or more spent on it. Angie also works as an oil painter and pastel artist. The major inspiration for her imagery comes from the natural landscape around Taos, and from hiking and camping in the mountains of New Mexico and Colorado. Coleman's work has been included in many national juried shows and is in many art collections. 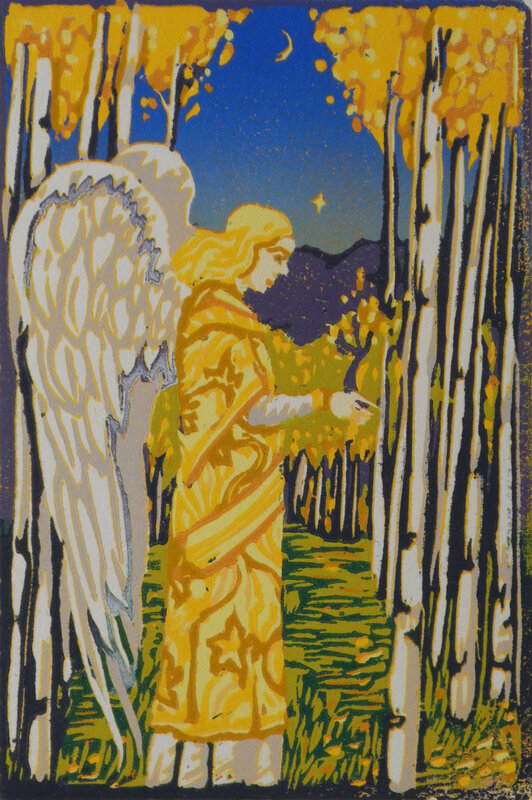 Most recently she received the best of printmaking award at the Taos Invites Taos Show, and a purchase award from the Harwood Museum for her woodblock print "Santa Barbara Aspens" in the Originals New Mexico Show.